Music streaming service Deezer launches new app for macOS and Windows. 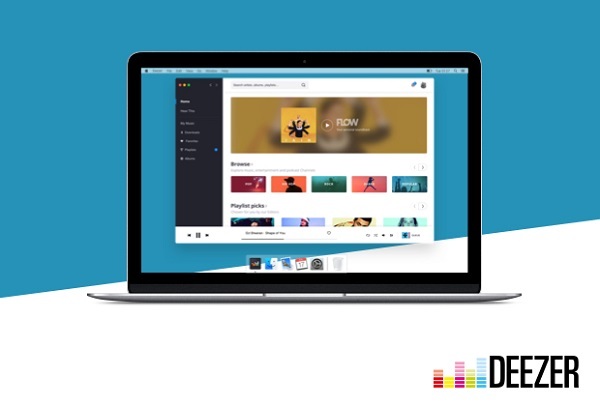 Music streaming company Deezer today launched a new universal desktop app for Mac and Windows. The app not only eliminates the hassle and additional step of opening up a new browser but desktop users with Premium+ account, who download the new app before January 2018, will be able to hear all their music in high-definition audio by selecting this option under sound settings. + HiFi lossless audio for Deezer desktop complimentary service until December 31st 2017. Not applicable to 'Family Plan' subscribers. + The previous version of the Deezer Windows 10 app will still available following the new Beta release. + You'll need either Windows 7 or later or MacOS 10.8 or later.